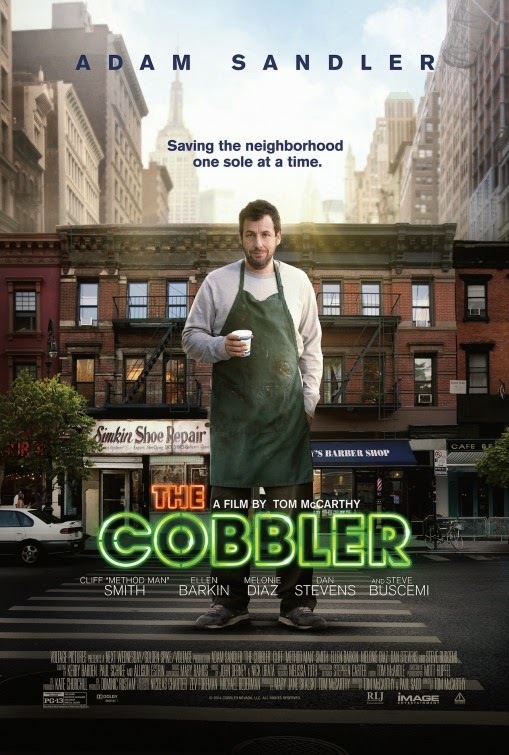 With that green apron Adam Sandler doesn’t really look like a cobbler, he reminds me rather of a Starbuck barista especially with that cup in his hand, LoL! The film is directed by Tom McCarthy based on a script he co-wrote with Paul Sado. It will open in theaters on March 13, 2015. 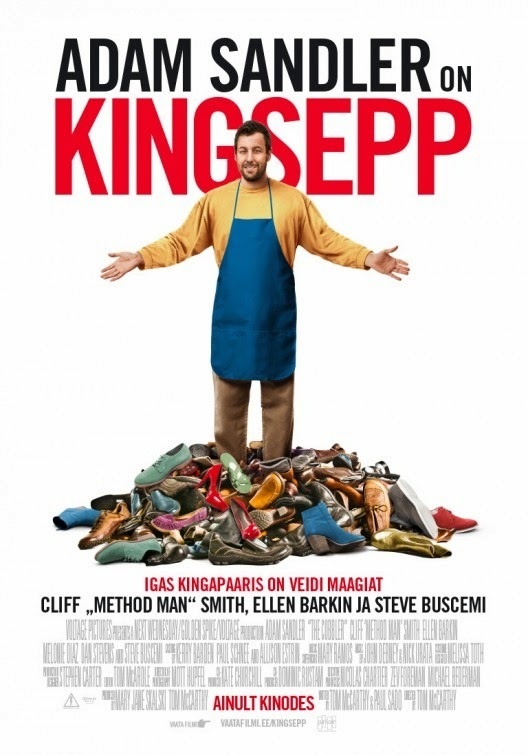 “Actor Adam Sandler plays a 4th generation shoe-maker who discovers a magical sewing machine in his father’s basement that allows him to transform into other people by wearing their shoes. Did Adam Sandler steal Minnie Mouse’s shoes? Mickey won’t be happy about it! Would you have been into that shower? Or like Adam Sandler’s character would you have refused to get in? 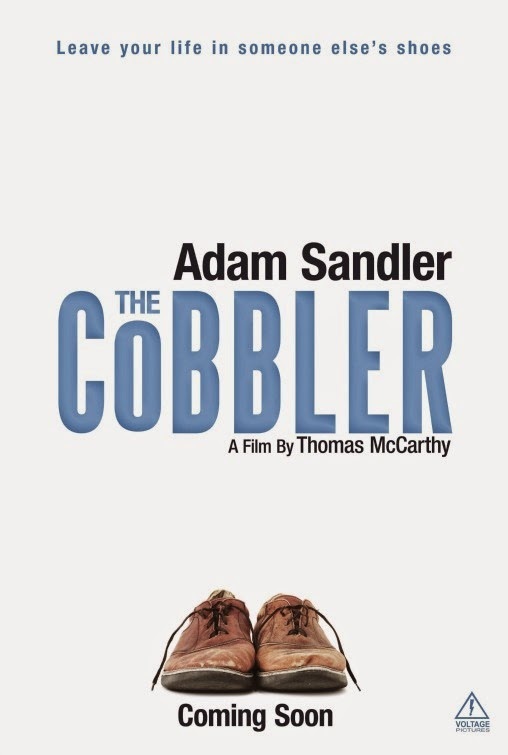 Anyway sign me up for The Cobbler! Have you ever dreamed of walking in someone’s else shoes? Whose shoes? Besides Adam Sandler, the cast also includes Dustin Hoffman, Steve Buscemi, Dan Stevens, Elena Kampouris, Melonie Diaz, and Method Man. There’s no official release date yet, but the film should hit theaters sometime in 2014.